If you search on Google for diets for fat loss, you will find immense results, the problem is, and will you find the right diet for you? Or do you have different needs from your colleague on the side? The truth is that the most important factor for a diet’s success is that it is adapted to you, and this is what does not exist in the generic diets you find on the internet outside. In addition, diet is only a part of the equation and therefore we must also take into account the training of bodybuilding and cardio, and finally, supplementation. Regarding supplementation for weight loss, Garcinia Cambogia is a well known natural ingredient. Learn more about it at https://www.rightshape.com/garcinia-cambogia/. The evolution in a weight loss program is very different from that in a muscle gain program. The evolution in a weight loss program is much faster than the evolution for those looking to gain muscle. It is faster to burn 1kg of fat than to gain 1kg of muscle mass. It is important to have a sense of the pace of weight loss, to make sure we are headed in the right direction. It is possible to lose 15kg in a few weeks, but is this what we are looking for? 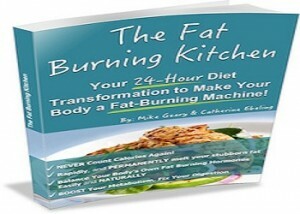 What we are looking for is losing fat quickly by keeping as much muscle mass as possible. So, although it is possible to lose 15kg in a few weeks, this would lead to a very high loss of muscle mass, and that is not what we want. Something between 0.5kg to 1kg per week will be a good pace. Probably at the beginning of the plane you will be closer to 1kg, while there further forward the pace will be closer to 0.5kg. It’s normal.